Share the post "Bessey Teaching Award Goes to Professor Lena Struwe"
Lena Struwe, professor in the Department of Ecology, Evolution and Natural Resources, the Department of Plant Biology and director of the Chrysler Herbarium. Photo: Susanne Ruemmele. 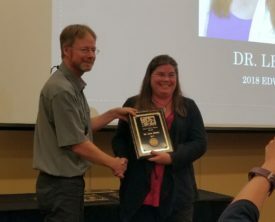 Lena Struwe, Professor in the Department of Ecology, Evolution and Natural Resources, the Department of Plant Biology and director of the Chrysler Herbarium, was presented with the Charles Edwin Bessey Teaching Award by the Botanical Society of America (BSA) at their annual meeting in July. This award recognizes outstanding contributions made to botanical instruction and celebrates individuals whose work has improved the quality of botanical education at a regional, national, or international level. The Bessey Award is the highest honor for Teaching and Educational Outreach given by the Botanical Society of America. Struwe embodies all of the qualities recognized by the Charles Edwin Bessey Teaching Award. Not only is she an outstanding plant systematist, but also an inspirational teacher and advocate for the field. She has reinvigorated the Botany program at Rutgers, including leading an active and growing herbarium, a campus flora project and dynamic and well-enrolled botany classes. 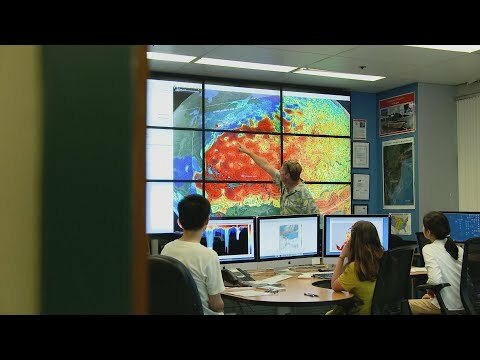 She has worked extremely hard to create new techniques and methods to help students learn. 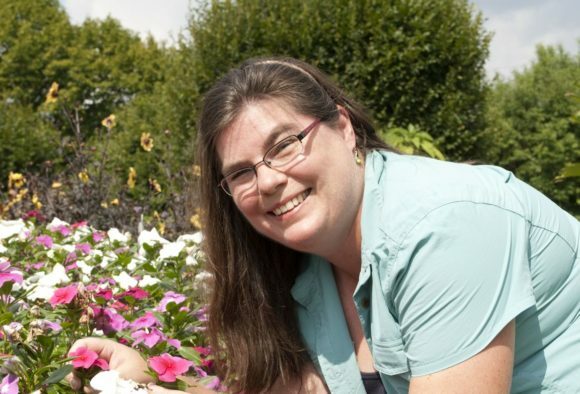 She hosts a blog on botanical accuracy (botanicalaccuracy.com) that is recognized as one of the Top 50 Biology Blogs and most recently, she founded Botany Depot (botanydepot.com), a public website allowing botany educators around the world to exchange ideas and materials. Loren Rieseberg, past president of the Botanical Society of America, giving Lena Struwe her award. Photo: Megan King, Chrysler Herbarium. “Lena views herself as a learner and participates in communities that support educators. She reflects on her teaching experiences and adapts her courses to meet developing educational needs,” says Jennifer Blake-Mahmud, a PhD candidate the Rutgers School of Graduate Studies, Ecology and Evolution Program. The Bessey Award is the sixth award given to Struwe for her teaching. It is given annually in honor of one of the great developers of botanical education, Dr. Charles Edwin Bessey. Dr. Bessey served first as professor of botany and horticulture, and later as dean at the University of Nebraska. His work and dedication to improving the educational aspects of Botany are most noted in what Nebraskans call “The Bessey Era” (1886-1915), during which Nebraska developed an extraordinary program in botany and ranked among the top five schools in the United States for the number of its undergraduates who became famous botanists.